Cigna Medicare Supplement plans have only operated under its name since the early 1980s, so it might seem like the life and health insurance company is practically a juvenile when compared to some of its main rivals. It’s important to remember that the new company was born from a merger between Continental General and INA. Continental General operated since right after the Civil War, and INA was founded three-quarters of a century before that. So, this insurance company actually has a very long history. Despite the age of its predecessors, Cigna Medigap plan G, Cigna Medigap plan F, and Medigap plan N are still growing with a good reputation and for cutting-edge technology, competitive premiums, and attractive policy offerings. Cigna Medicare Supplement plan G and other supplemental insurance products are doing quite well. In fact, the Hartford Business Journal just recently posted the news that the insurance company had increased profits for the second quarter of 2017, and much of this was done due to Cigna’s activity in the Medicare Supplement plan market and related products. Because of this success, they intend to expand their Medigap insurance products into more places. The fastest way to get free quotes for Medigap plans from the top insurers in your area — such as Cigna Health and Life Insurance Company, American Retirement Life Insurance Company, Loyal American Life Insurance Company and more — is to use our internet quote system. Along with telling you about Medigap policy options, we can also offer you information about Part D and Medicare Advantage. You may find that Cigna Medicare Supplement plans are the cheapest, but we also allow you to compare them with other top companies to look for the most competitive rates. Not all insurance companies market Medigap plans in every area of the country. You’re also welcome to give us a call on our toll-free phone number. We have qualified Medicare agents who can answer questions and explain your options. One attractive thing that Cigna Medicare Supplement plans have is a family discount of seven percent. If your spouse or anybody else in your household also has coverage from the company, you may all qualify for this family discount. In fact, the insurer even went back and retroactively gave this discount to their customers who already had their plans. No doubt, this kind of concern for current customers has contributed to the company’s high retention rate. The company also offers its Healthy Rewards Program to its customers. This isn’t actually insurance or part of the standardized Cigna Medicare Supplement plans. At the same time, membership to fitness clubs, nutritional support, a phone support number for health questions, and discounts for dental, hearing, and vision may save you money and help you enjoy a healthier lifestyle. Of course, you have probably learned that you could simply join an MA plan for lower rates. There’s no doubt that MA plans have become an attractive option, and in fact, Cigna enrolls about two percent of all members in the U.S. and intends to grow in this market. However, almost all of these use HMO or PPO networks and include many deductibles and co-pays. That’s how they keep prices low. When you have a Medigap plan, you can enjoy the benefits of almost any medical office that accepts Medicare. Some supplements will even help pay for urgent or emergency medical services in other countries. If traveling around your state, the United States, or even into foreign lands appeals to you, a Medicare Supplement might give you the peace of mind that you deserve. You enjoy total freedom to access any U.S. providers who accept Medicare. With a Cigna Medicare Supplement plan, You don’t need to worry about finding a network doctor or getting a primary doctor to give you a referral when you want to schedule an appointment with a specialist. You’ll find the most robust Cigna Medicare Supplement plans described below. With these, you may have out-of-pocket health-care bills eliminated or drastically reduced, so you can budget for healthcare much easier. When surveyed, one of the primary concerns of people who have retired or are about to retire is budgeting for healthcare. Predictable benefits: If you have researched Medicare Advantage plans, you have probably learned that these plans tend to change every year. At the same time, Medicare Supplement plans have been standardized by the government and almost never change. This can also help you keep medical costs predictable. Satisfaction: Nine out of ten Medigap plan owners have reported satisfaction with their Medicare Supplement plans. This is probably due to the predictable coverage, freedom to choose doctors, and the value that they get. All Medigap plans offer coverage that has been standardized by the government. In most state, you will find several different supplements that range from Plan A through Plan N, as well as high deductible Plan F. We would like to suggest that you compare Cigna Medicare Supplement Plan F, Cigna Medicare plan G, and Cigna Plan N.
We start with these three Medigap plans because they provide you with a good balance between value and benefits. All three of these choices will protect you from high medical bills. The right choice for you could depend on your budget and the way you prefer to access medical care. When choosing the best plan for you, be aware that in addition to the cost of your Supplement, you will also need to pay the Medicare Part B deductible. More owners of Medigap plans choose Cigna Medigap Plan F than any other supplement. This is true even though the rates are usually the highest but offers the richest benefits. Cigna Medicare Supplement plan F benefits will cover everything allowed by the standardized Medicare Supplement system that Medicare has set up. Even though you may pay more, you could find that your lack of medical bills means that you actually save money if you need to rely upon it a lot. Besides the basic benefits that help pay for hospital stays or outpatient services, Cigna Medicare Supplement plan F even helps pay for medical bills that are higher than Medicare’s allowed amounts. This gives you more freedom to choose doctors and specialists. It covers urgent medical care across the border or overseas, and that could be handy if you envision some foreign trips during retirement. Medicare Plan F is a good choice for people who just want to pay for their Medicare Supplement and have it handle the vast majority of their medical bills. Here’s a tip that might help you save a bit of money almost automatically. The only difference between Cigna Medicare Supplement plan G benefits and Plan F is that Cigna Medicare Plan G benefits won’t pay for the Part B deductible. Otherwise, they are identical. Since this yearly deductible is about $180, you could find that the difference in premium between Plan F and Plan G more than makes up for the annual Part B deductible amount. You might choose Cigna Medicare Supplement Plan G if you want a robust supplement but would like an easy way to save a bit of money. This tip won’t apply to everybody, but we give you an easy way to check prices to see if it works for you. These insurance plans won’t pay for Part B excess charges like some other plan options (such as Plan F) do. It won’t pay for the annual deductible/Part B deductible. You have some out of pocket expenses in the form of a modest copay for doctor’s office visits, and you might have a copay for an emergency room visit. This adds to your out of pocket costs. Currently, the doctor’s copay is $20 on Cigna Medicare Supplement plan N. If you go to the hospital and are NOT admitted to the hospital, you have to pay $50. You may find that the difference in your yearly benefit cost between Plan F and Cigna Medigap Plan N more than makes up for these co-pays. It might depend upon the difference in cost between Plan F, G, and Cigna Medicare Supplement plan N benefits. If you typically visit the doctor a couple of times a year for checkups or minor illnesses, Cigna Medigap Plan N may be a very good bet. Of course, it’s impossible to predict a trip to the emergency room. You only have this copay if you don’t get admitted to the hospital. Still, if you’ve seen an average emergency room bill, you’ll know that they are usually much higher than $50. If you’re relatively healthy, you might decide to stash your savings in an emergency fund to prepare for an unexpected accident or illness. Which of These Cigna Medigap Plans is Best for You? With Medicare Plan F or G, you are free to find doctors without worrying about charges that are higher than the government says they should be. You won’t need to pull out your wallet if you visit the doctor or the emergency room. You probably still won’t take a big risk if you buy Plan N if you don’t mind finding doctors who accept Medicare Assignment. This is particularly true if you are relatively healthy. It’s unlikely that you’ll be unhappy with any of these Medicare Supplements. Do Cigna Medicare Supplement Plans Cover Prescription D Medications? Part A will give you coverage for medicine you get inside a hospital or another type of inpatient facility. Part B will typically only cover the specialized type of medication that may be administered to you by a health professional in certain circumstances. Like Part A and Part B of Original Medicare, Cigna Medigap plans won’t help you pay for the kinds of prescription drugs that you get filled at your neighborhood pharmacy. Unless you already have a drug plan from another source, you’ll need to purchase Medicare Part D. Cigna offers Part D in all 50 states, but you are also welcome to buy this sort of plan from another insurer. Almost all companies that market Medigap plans will also have Part D. If you rely upon expensive medications, you might be better off having the luxury to shop for your Part D separately from your Medigap plans anyway. You have probably heard about Open Enrollment. This is the one time of year when most people can join or switch Medicare Advantage policies. There is no Open Enrollment for Medigap plans, so you can sign up at any time of year. You just need to qualify for Part A and B. With that said, the easiest and the best time to apply for Cigna Medicare Supplement plans is when you have a Guaranteed Enrollment Period. The most common of these is the one you get when you first take Original Medicare, and it lasts for six months after the month that you first get your Medicare benefits. You may get other Guaranteed Enrollment Periods for special circumstances. These might include circumstances like a move to another area, the loss of insurance because the insurance company pulled out, and so on. You can find a list of these circumstances on the Medicare.gov website. 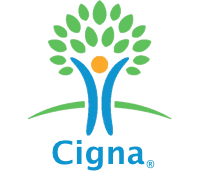 You should know that you are free to apply for Cigna Medicare Supplement plans at any time. You might have to answer some medical questions on your application if you don’t have a Guaranteed Enrollment Period, but you shouldn’t assume you won’t qualify. The good thing about their application is very simple, so it’s easy for you and your agent to figure out if you will get accepted and if you will qualify for a preferred or standard rate. Please note that we aren’t endorsed by the company in any way. We just want to help you find a plan with reasonable monthly premiums and coverage for things like Part B coinsurance. To give you an idea of rates for different supplements and in different areas, we simply pulled some samples. Of course, these could change with time or because of your individual circumstances. For personalized quotes, you can call or use our internet quote system. We used Texas, Illinois, Arizona, Pennsylvania, Michigan, and California since these states represent diverse parts of the country. You can see that your monthly Medicare Supplement plan prices may vary by area. Since these samples were pulled from selected ZIP codes in larger cities of these states, they might also vary a lot if you live in another part of the state. In some cases, your age or medical status could impact the price you pay. Since all of these Cigna Medicare Supplement plans or any other supplements are standardized, you are free to shop around for competitive prices from quality insurance companies. This actually makes it easier to shop for Medigap plans than many other kinds of health insurance. Also notice that the difference in price between Plan N and Plan F is usually about $50 a month, or about $600 a year. In some places, the difference might even be greater. You might decide it’s best for you to just pay for the more robust Medicare Supplement, but you may not take a great risk by saving money with Plan N.
Why Would We Suggest Cigna Medigap Plans? Cigna is not the largest provider of Medicare Supplements in the country, but it’s still a very established and reliable insurer. They don’t market everywhere in the country, but they do plan to grow. This health insurance company also has a good reputation for competitive prices and good customer service. The value-added membership perks might help you save money and get healthier. If another person in your household has a supplement from the company, you’ll enjoy a generous family discount too. We also like the fact that they keep the application and pricing simple, so it’s easy for our clients to understand how much they will pay, how they will get billed, and what they get. Each Medicare Supplement level will offer the same basic benefits to you. In other words, Plan G will be identical if you purchase it from one company or another. This means that you have the luxury to compare supplemental insurance companies by price and reputation. You can find a simple quote form to do that right on this web page. If you have questions about your choices, we also offer a toll-free phone number. We have worked to serve hundreds of Medicare beneficiaries over the years. If there is one thing we have learned, it is that there is no one best Medicare Supplemental insurance for everybody. Some people may be happier with different supplement plan levels, different insurance companies, or even different kinds of Medicare plans. In some cases, you may find that Cigna Medicare Supplement plans offer you the best rates and benefits for your unique needs. We want you to have the tools to make a confident decision. Please note: We are not Cigna, this is our general opinion of Cigna Medicare Supplement plans. Refer to your complete policy for full coverage details.